As a new member of the #TabletCrew, I would like to welcome the new Surface Pro from Microsoft to the #IntelTablets family! Surface Pro is a powerful PC in tablet form. It weighs in at 2 lbs. This baby is equipped with an Intel i5 CoreTM processor. This laptop in tablet form brings together the best of Microsoft in one awesome new device. 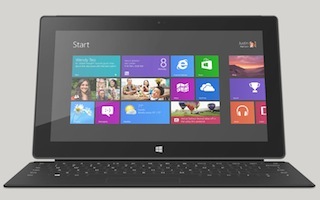 What do you think of the new Surface Pro? Disclosure: No financial compensation was received for this post. All opinions expressed are 100% my own and influenced by anyone else. I am disclosing this in accordance with the Federal Trade Commissions 16 CFR, Part 255 Guides Concerning the Use of Endorsements and Testimonials In Advertising. See my full disclosure. Content and/or other value provided by our partner, Intel.